In a meeting chaired by cabinet secretary PK Singh on Friday, the committee decided to mobilise additional resources of all agencies including Army, Navy, Air Force, Coast Guard and National Disaster Response Force (NDRF) to provide the required assistance to Kerala. 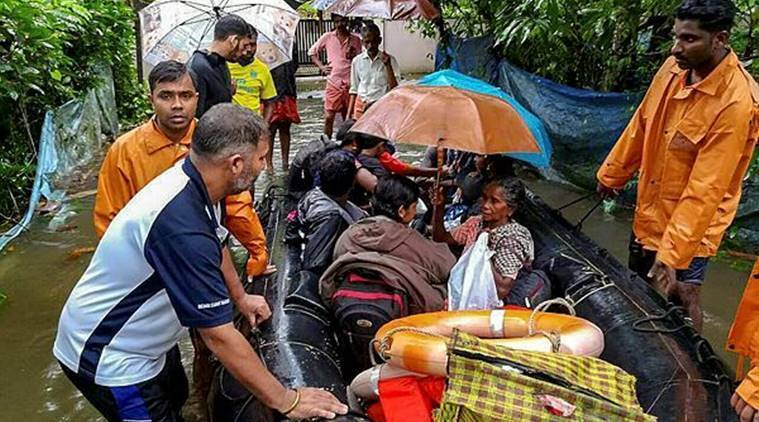 As the crisis deepens in flood-hit Kerala with the death toll rising to 167, the National Crisis Management Committee (NCMC) met for the second time in two days to scale up rescue and relief operations. In a meeting chaired by cabinet secretary PK Singh on Friday, the committee decided to mobilise additional resources of all agencies, including Army, Navy, Air Force, Coast Guard and National Disaster Response Force (NDRF) to provide the required assistance to Kerala. The cabinet secretary directed these organisations to provide boats, helicopters, life jackets, life buoys, raincoats, gumboots, inflatable tower lights etc. Food packets and drinking water are being rushed to Kerala for distribution among the people in 14 worst-affected districts. Singh also directed that emergency medicines may be put on standby. To help in the rescue and relief operations, the Indian Navy has deployed 51 boats along with diving teams, 1,000 life jackets and 1,300 gumboots are being rushed to Kerala today. It flew 16 sorties within 48 hours in rescue operations. It will also airdrop 1,600 food packets. The Coastguard has deployed 27 rescue and relief teams across the state. Two teams are in Pathanamthitta, seven teams in Aluva, five teams in Alleppey, one team in Paravur, one team in Calicut, five teams in Chengannur, four teams in Thrissur/Chalakuddy, one team in Nedumbassery, one in Idukki and two teams are on standby in Kochi. The NDRF has mobilised 43 rescue teams and 163 boats along with other equipment. They have been asked to to mobilise additional manpower, boats and helicopters to scale up the rescue and relief operations in Kerala. Besides, the army has pressed into service 10 columns, 10 Engineering Task Forces (ETFs), 60 boats and 100 life jackets. The IAF deployed 23 helicopters and 11 transport aircraft. Some of the aircraft are being flown in from Yelahanka and Nagpur. As the Cochin airport remains closed, use of Naval airstrip at Kochi for civilian airlines has been offered to the Kerala government. So far, the Centre has mobilised deployment of 339 motorised boats, 2,800 life jackets, 1,400 life-buoys, 27 light towers and 1,000 raincoats. Further, 72 motor boats, 5,000 life jackets, 2,000 life-buoys, 13 light towers and 1,000 raincoats are being deployed. 1,00,000 food packets have been distributed and arrangements are being made to supply another 1,00,000 food packets. The Railways has also provided 1,20,000 water bottles. Another 1,20,000 bottles are ready to be despatched. It is also running a special train carrying 2.9 lakh litres of drinking water that will reach Kayakulam tomorrow.